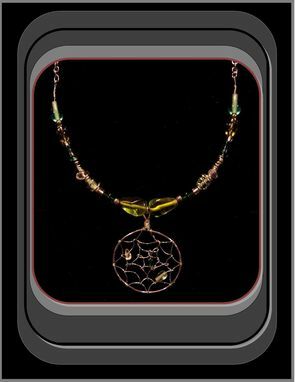 Dream Catcher Pendant Necklace! Custom Made & Designed By Me. 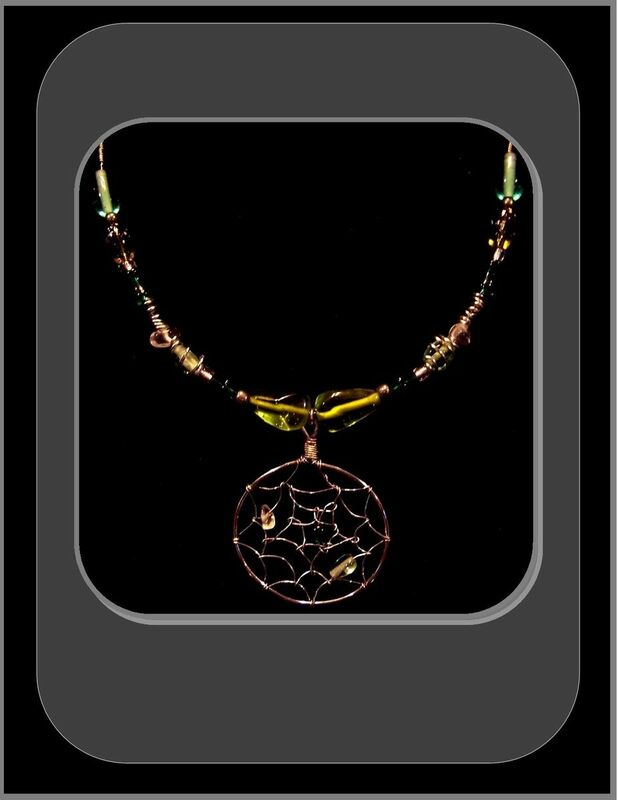 The Dream Catcher will capture and release your bad Dreams! 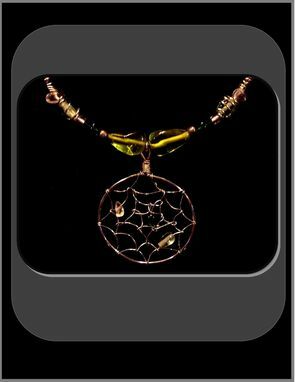 This Custom Designed Hand Crafted Dream Catcher Pendant Necklace is "One of a Kind"
"It's an Artistic Statemant Necklace." as well as the handmade Neckace chain! It is Silver & Green tone Gems, the Large Pendant is approx 2-3"
the legth is approx 20" but is made to be adjustable from approx. 16" - 20" according to what you chose to wear it with. The traditional dream catcher was intended to protect the sleeping individual from Negative Dreams, while letting Positive Dreams through. The positive dreams would slip through the hole in the center of the dream catcher, and glide down to the sleeping person below.
" The negative dreams would get caught up in the web, and expire when the first rays of the sun struck them!" 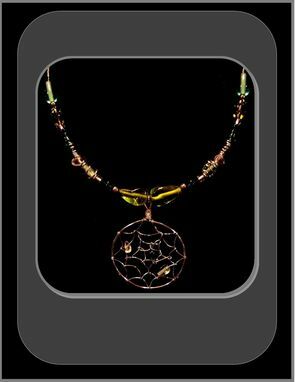 This Artistic Dream catcher pendant necklace, was Custom Designed, and Created by weaving Delicate Silver Wire, onto a handmade wire Framework and adding a Green Glass Gem in the Center. I've Always loved Dream Catchers! Wall hangings, Earrings and Jewelry, So I really Enjoy being able to Create them!